We can't keep it a secret any longer! We're excited to share that we're offering our very first Block of the Month! 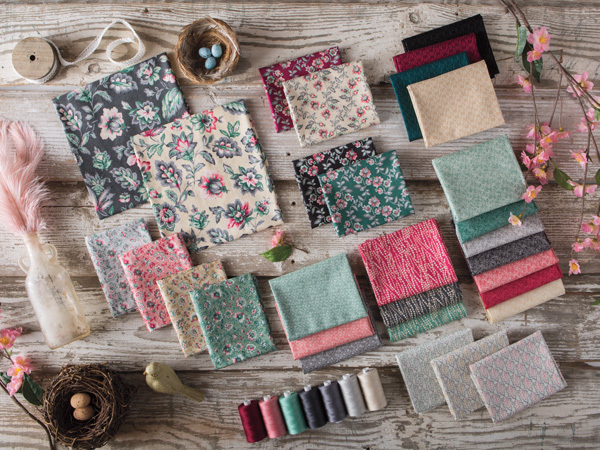 Mercantile, designed by one of our all-time-favorites, Kristin Gassway is sewn up in General Store, our newest assortment of 1930s feedsack-style fabrics. Every print comes from an authentic vintage feedsack, meticulously recolored and scaled into this charming group of quilting cottons. Podcast 3: October 2018 New Kits and Collections!